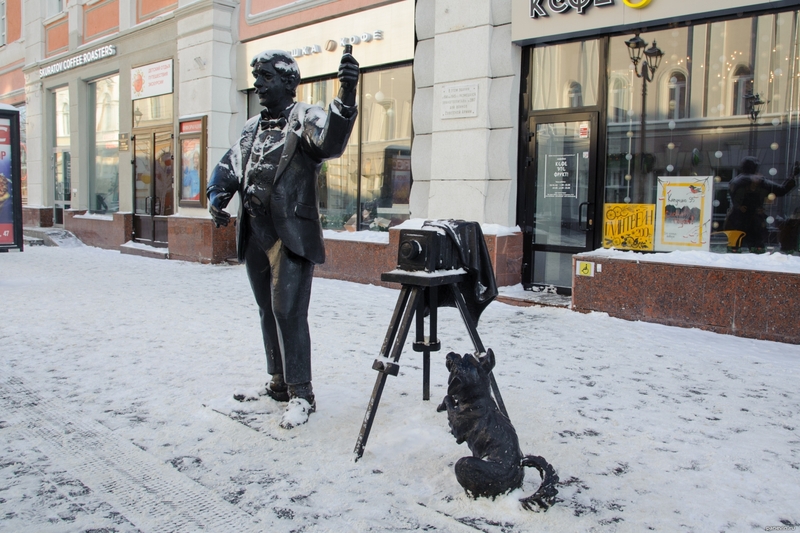 Sculpture of a photographer with a dog. Why not with cat?! Blog, posts animals, Nizhny Novgorod.